The first bit of confusion seems to be that people think that when you are on the diet, you will be hungry all the time. I have heard multiple people say “I’m starving!” and “Heck, all I’m eating is broth, right? !” (Although broth is one of the “pillars” of the GAPS diet and is absolutely fundamental to it, you are eating much more than broth, but more on that later.) When I hear people say they are starving, I know that they are not implementing the diet as directed; in fact, they are missing one of the most important prescriptions in the book: the one about the amount of fat one needs to heal, repair and be well. And it is a lot, a lot more than we are used to. Eating saturated fat goes against everything everyone in America has been hearing for the last 30+ years. Ever since the American dietary guidelines went pro-sugar (look what that has gotten us) and anti-fat. Heck, you can’t even find full fat yogurt in the store these days; “low-fat/no-fat” has become the norm. “Low-fat/no-fat” has been proclaimed as “healthy” by the “powers that be”. There is a whole generation of children in this country that have never eaten a traditional, healthy, full-fat diet. They have been brainwashed into thinking that fat is bad. We have been brainwashed into thinking that fat is bad. That’s one of the reasons, I would venture to say, that we have so many children that are obese, have diabetes, and suffer from Attention Deficit Disorders. But that is another story for another time. Stay tuned. I am sure to write it some day soon. The GAPS diet is one of the most nourishing, nurturing diets around. It is built to satisfy; it is crafted to nourish, and to deeply nourish. No one should be hungry if they are following Dr. Natasha Campbell-McBride’s prescriptions about what to eat…especially the one about fats and the egg yolks. Today we’ll look at healthy saturated animal fats. Rendered fat and gristle off of pastured meats. Oh, and some avocado, coconut oil, olive oil and flax oils. When one is “starving” or one is experiencing cravings, it is an indicator that the body needs more fat. It also indicates that your blood sugar may be on a roller coaster. How to stabilize? Eat more fat! Go for it! This is the first healing protocol that I know of that prescribes fat. Yes, go ahead. A medical doctor is prescribing that you eat more fat. An MD. And she is not the only one. All over, enlightened MDs are prescribing more healthy fats in the American diet (see Mercola and Tom Cowan. ) Note that these are healthy fats. They are not trans fats. So what are the healthy fats, and how much does one need to eat to be satisfied…to start healing? If you would like more information about healthy fats and how that body needs them, see Dr. Mercola’s recent article, The Hidden Reason You Get Flabby, Sally Fallon’s interview on Fats and Why they are Essential, Chris Masterjohn’s brilliant blog, The Daily Lipid, Eat Fat, Lose Fat by lipid chemist Mary Enig and Sally Fallon, or The Cholesterol Myth by Uffe Ravnskov. For more information about the GAPS diet, including helpful FAQs posted by Dr. Natasha Campbell-McBride, see her website, gaps.me. Healing Soups series…let’s step back to Stock. Can’t believe I started a Healing Soups series without first writing about Stock…aka, meat stock…bone broth. Maybe it’s because I am immersed in stock right now, (not literally, don’t worry!) 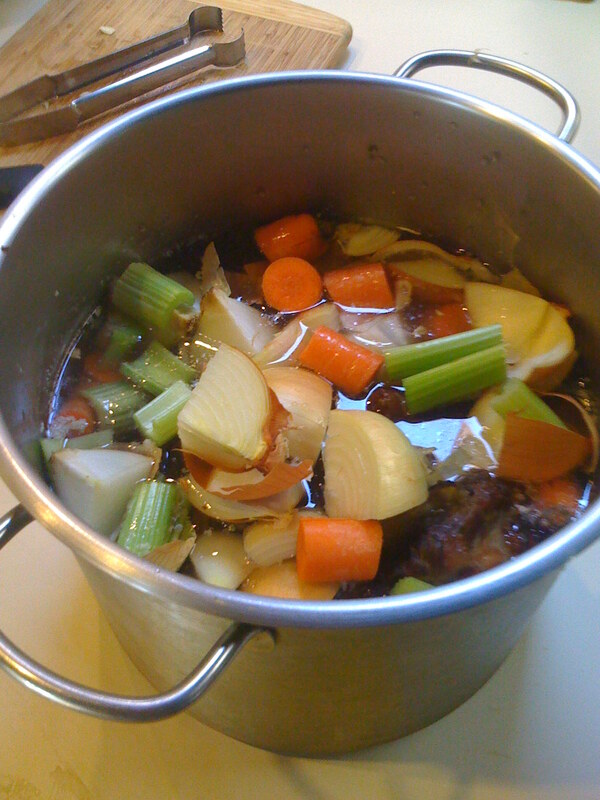 I am making stock like crazy for a little boy who has had the flu, and for the rest of us who want to stay well…I am teaching a Making Stock GAPS ™ Style tomorrow morning in Westminster, CO, and I am readying for my stock class which I will be teaching at the Fourfold Path to Healing Conference in Baltimore one week from today. So…….I thought I’d share with you an article I wrote for Edible Chesapeake Magazine, which was published in November 2009. It appeared under the Cooking Fresh heading. Unfortunately for those in the Chesapeake Bay watershed area, Edible Chesapeake folded a few months later. Here’s the article. I hope you enjoy it! Mmm…mmm, there is nothing like a bowl of homemade soup when the weather starts to chill, and there is nothing better than soup made with homemade stock. 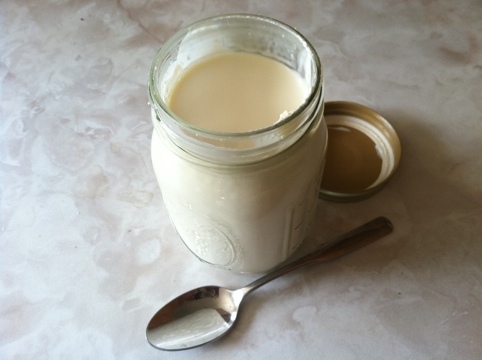 Stock made well is a nutrient-dense elixir that gives a great bang for your nutritional buck: It is high in calcium and other minerals your body needs that are easily absorbed, it can reduce the amount of protein you eat, and the gelatin has been known to help heal many digestive and other disorders, including anemia, diabetes, colitis, rheumatoid arthritis and even cancer1. Gelatinous stock is liquid nutrition for lactating mothers, menopausal women and children, whose bones are growing. It is also a perfect first food for infants. As in all things, the quality of in the raw ingredients determines the quality of the final product. Bones from a grass-fed producer is the key to a rich, gelatinous stock. Bones from cows raised on feed-lots and chickens raised in cages just do not gel. You will need two types of bones for your stock: what I like to call “boney” bones, like marrow and knuckle bones; and “meaty bones,” such as chuck ribs or neck bones. Boney bones yield gelatin and minerals, while meaty bones will ensure rich color and flavor. Next, the vegetables. Again, source counts. In these days of depleted soil, even organic vegetables can be low in minerals. Look for vegetables from farmers who add vital nutrients back into the soil, such as biodynamic farmers. If you can’t get biodynamic, grow your own, or go to a farmers market for fresh, local produce. Check with the farmer to find out what he or she is doing to help heal the earth. 1 For more information about the use of gelatin to heal the digestive tract and other disorders, see Gut and Psychology Syndrome: Natural Treatment for Autism, Dyspraxia, ADD, ADHD, Dyslexia, Depression and Schizophrenia, by Natasha Campbell-McBride, MD; “Why Broth is Beautiful,” in Wise Traditions in Food, Farming and the Healing Arts, Spring 2003, by Kaayla T. Daniel, MS CCN; Gelatin in Nutrition and Medicine, by N.R. Gotthoffer; Hydrophilic Colloid Diet, by F.M. Pottenger, MD; Restoring Your Digestive Health: How the Guts and Glory Program Can Transform Your Life, by Jordan Rubin, NMD and Joseph Brasco; and the Weston A. Price Foundation at www.westonaprice.org. A pot of beef stock, ready to "roll"! Roast meaty bones in the oven at 350 degrees until browned, about an hour or so. Meanwhile, place boney bones in a large, heavy stock pot with the vinegar and water and let soak for 1 hour. The vinegar will act on the bones and help to draw out the calcium and the gelatin for a rich stock. When the meaty bones are browned, add to the pot, along with any accumulated juices and the vegetables. I have been meeting many people along the way on our trip across the country from Maryland to Wyoming and Colorado and back again. We have passed through Maryland, PA, WV, OH, IN, IL, IO, NE, WY, CO, SD, MN, WI, and now we are on our way to IN and MI. In addition to everyone I met and had the privilege of teaching at my Cooking for Well-Being conference in Colorado, I am having wonderful conversations with folks about real food and good health. All sorts of people are being introduced to Nourishing Traditions and the Weston A. Price Foundation, realmilk.com, the Farm to Consumer Legal Defense Fund and the Nourishing Our Children Campaign. Makes me so happy to be spreading the good word about all this good food! 1. Use real salt. Throw out that Morton’s salt and purchase some salt that is high in trace minerals. Celtic Sea Salt from the Grain and Salt Society is highest in trace minerals, so I use that. Just check out the label…all “sea salt” is not the same. If they can tell you about the trace mineral content on the label, you’ve got a good one. Okay, that’s the beginning. We’ll call it “real food for dummies” or, “real food 101”. I am not going to go into fresh, raw milk at this time, as so many people in our country do not have access to it. (To find out about the state of raw milk in your state, check out the map on the Farm to Consumer Legal Defense Fund’s website or check out www.realmilk.com) I am not going to go into fermentation or soaking your beans and grains, or making your own stock. That’s for level 2. Take it easy. Go slowly. One step at a time.